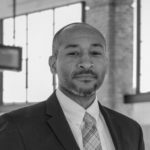 Khaim Morton joined the Metro Chamber after 17 years working at various levels of state and local government. Most recently, he served as an appointee of Governor Brown as the deputy secretary of legislation for the Government Operations Agency. Since 2016, he has been the liaison with the Governor’s office and the legislature managing the legislative affairs and negotiating legislation to establish positions that reflect the best interest of the state and its citizens for the 10 departments and entities which are the backbone to state operations. These entities include the Department of General Services, Department of Technology, Cal HR, Victim’s Compensation Board, Office of Administrative Law, California Department of Tax and Fee Administration, California Census, Franchise Tax Board, CalPERS and CalSTRS. During Morton’s time at the state of California, he was instrumental in policies to improve efficiency and eliminate waste within government agencies. Morton also played an important role in Taxpayer Transparency and Fairness Act of 2017 which created the most significant overhaul and reform of the system administering California’s taxes. Prior to Morton’s work for the state of California, he was the capitol director in the office of California State Assemblymember Reginald Jones-Sawyer, Sr., where he began as a senior assistant in 2013. He has also served in the office of California State Assemblymember Sebastian Ridley-Thomas as legislative director and later as chief of staff. Morton began his state career as a legislative consultant for the Office of California State Senator Alex Padilla from 2007 to 2013. Morton’s career in policy began at the local level when he served as the field deputy in the Los Angeles City Council President’s Office which led to him joining the office of Los Angeles Mayor James K. Hahn in 2003. While at City Council, Morton coordinated the rebuilding of a bridge span over the Pacoima wash after it was damaged by a severe rain and flooding; the bridge was a primary access point for various local communities and businesses. The effort took coordination with multiple state and local government entities, local businesses, and residents in re-establishing the ability to cross to their homes, jobs and emergency services.